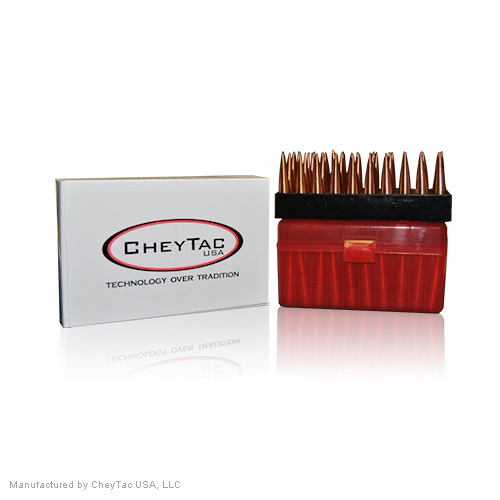 By purchasing any product from CheyTac USA, LLC. You are certifying that you are at least 18 years of age. Please allow a 30 day turn around time on all bullet purchases. Pricing and lead time may vary for large or international orders. WARNING: Improperly hand-loaded ammunition can cause serious personal injury. Hand-loading should be done only by competent adults after proper instruction. Always wear safety glasses when hand-loading. Since hand-loading operations are beyond our control we disclaim all liability for any damages which may result.